How Well Do You Know your Baby’s Poo? So let’s be honest… Having a kid changes your complete poop vocabulary. You will start to hear things like; yellow, runny, pellets, green, mucous, hard, thick and even soupy. If you are one of those people who never liked to talk about poop or see poop before a baby, you are in for a special treat. So ever since day one, we have dealt with our little guy’s poop. See when you have your baby the nurses will tell you to expect roughly 1 poopy (soiled) diaper in the first 24 hours of your baby’s life. 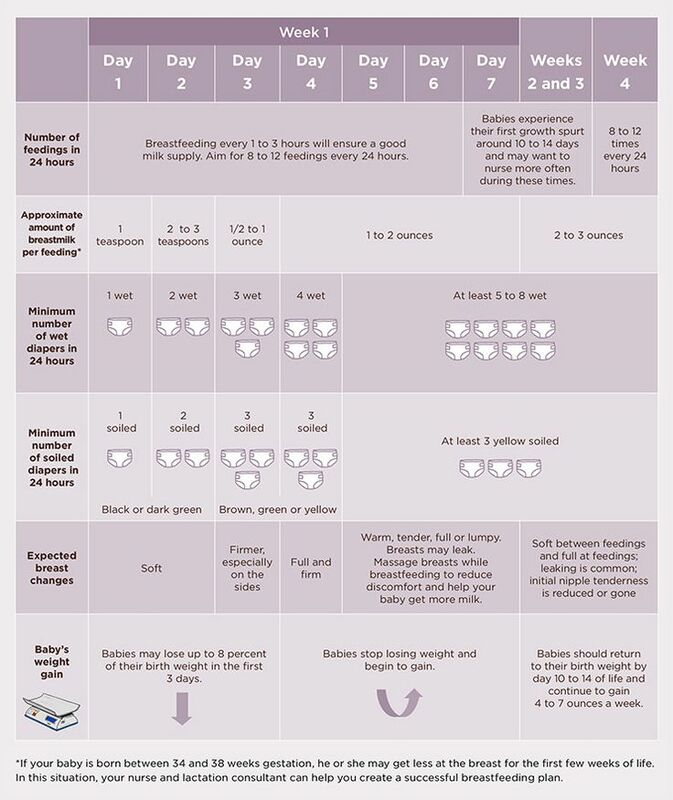 (This chart below is a nice little reference to follow in terms of the number of soiled and wet diapers to expect.) That does not however mean your baby will only poop one time in that 24 hours. See in the first 24 hours of Grayson’s life he pooped 14 times! Yes, you read that right…14 times. The nurse told us she had never seen a baby poop so much in 24 hours, but she said nothing was wrong with that either. From there for roughly the first three weeks of Grayson’s life he pooped after every single feeding. I would say between 8 to 12 times a day. Then one day he didn’t poop, and like many other mother’s out there I was worried. How could my baby go from pooping eight times one day to none the next? So I did some research and it said sometimes breastfed babies can take a little longer to go than formula fed babies. Some breastfed babies are very efficient at digesting their milk so their body does not produce a lot of extra waste as the nutrients from the milk are being absorbed by the body. I gave it another day and still no poop. I ended up calling our pediatrician and she said sometimes it can be a few days for them to go. So we gave Grayson a warm bath, did some bicycles with his legs, rubbed his back and belly and still no poop. I gave it a few more days and finally on day 5 we saw poop! I was so relieved. But little did I know five days would be the least of my worries. The poop on day 5, occurred the day we were moving out of our house in Indiana, and the following day we were heading off to start our adventure in New Jersey. I thought that maybe Grayson’s poop issues were a little of my fault. I had not ate the best that week as we were eating out a little and I was carrying stress up over my head as we were getting things ready to move. You know they say, the baby feels what mom feels.. so I thought ok this will pass and we will go back to normal. Yeah, we may not see eight poops a day but I was expecting at least one a day. When we got out to New Jersey Grayson was experiencing some belly aches where his belly would get hard after nursing and he would arch his back and pull away from me. I thought is my milk bad? I as a new mom was not sure why my baby was acting like this. Come to find out Grayson was experiencing acid reflux. You can read about that here. So along with dealing with reflux we are dealing with a baby that is not pooping. I have made many phone calls to my doctor now as we have gone on 7 day spurts, a 10 day spurt and our most recent, 11 days. I have spent countless hours looking up why breastfed babies take longer to poop, what causes babies to go longer between bowl movements, what I can do as a parent to help relax my baby if they are uncomfortable and ways to simply get my baby to poop. I have talked to other parents, read blogs and also researched medical sites. When the whole “poop” situation started my pediatrician said that it is very well normal for breastfed babies to go longer between their bowel movements and some babies may only go once every seven days and some may even go seven times a day. Each baby is different. She said that there are some doctors that will let babies go up to two weeks. (Personally that is way to long.) At first they told me to try a rectal temperature (well lubricated with vaseline). (I am no doctor and if you are reading this and ever are put in this situation, please consult your doctor first before you try anything to your precious child.) The rectal temperature can sometimes stimulate the baby enough to have a bowel movement. As for us Grayson never went immediately, but it would help becsuse when he would pass gas it would bring a little out. I too never moved the thermometer side to side or up and down, I just put it right in just a little like I was taking his temp. I never felt comfortable moving it as I didn’t want to create any further problems. To this day, whether trying to poop or pass gas Grayson will stiffen and kick his legs leaving him feeling so uncomfortable. We do a lot of bicycles with his chubby little legs and we will also set him on our laps and help put him in such a position as if he were sitting on the toilet. Holding them in this position allows them to help relax their pelvic floor muscles, which is the natural pooping position. (Our doctor told us he may have a hard time relaxing these muscles and this too could be a reason why it is taking him so long to pass a bowel movement.) I have also read that allowing your babies to have tummy time can also help, the reverse effect where pressure on one side of the body can help stimulate the other side. As for me when I need to go my back will hurt, if someone rubs my back I can have a bowel movement within a few minutes. (I know you all wanted to read that, but hey I am just being honest here). We are also on juice once a day now. Although some days he would prefer no juice, we do try to get him to take a little. The doctor had us start with non sweetened prune juice mixed with equal parts water, and we have also tried apple juice and apple prune juice. Warm baths seem to help relax him and he loves the bath anyway so that is a plus. After 11 days today and no signs of pooping other than passing gas for the past week, I consulted my doctor and she gave us the approval to use an infant glycerin suppository. We did half a suppository and within ten minutes we had poop! I am still flustered it is taking my little guy so long to go and I know that he is a healthy thriving baby, but I know that we have to get something figured out as to why it is taking him so long to go. So our next step is to meet with a gastro doctor just to make sure we have no other issues we are dealing with. I know as a mom, my research will never stop, I will always worry and I will scream with joy every time I see poop, but just remember to go with your gut. If you think your little one is struggling seek the options and routes you think you need to go to, to figure out what’s going on. Don’t be afraid to call your pediatrician as often as you need to, to ask questions and get the answers you need. Now that I have said, poo, poop and bowel movements one too many times, I hope you too enjoy seeing your baby poop as much as I do. Thank you. We all learn from our own experiences and even just in these three months we have learned so much! Too much about poop!